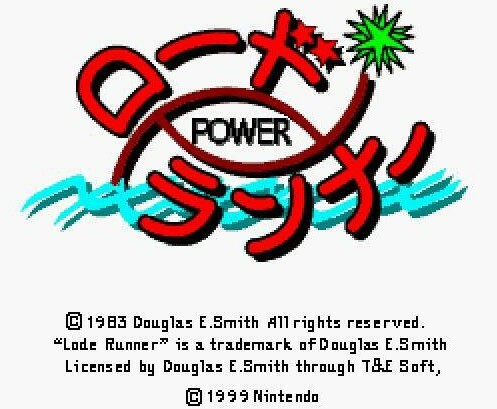 Today (January 1, 2019) marks 20 years since Nintendo published a Super Famicom game by the name of Power Lode Runner. It was released only in Japan as a “Nintendo Power” cartridge, where players could download various games on said accessory. Thus, you won’t find an official cartridge of Power Lode Runner on the internet. 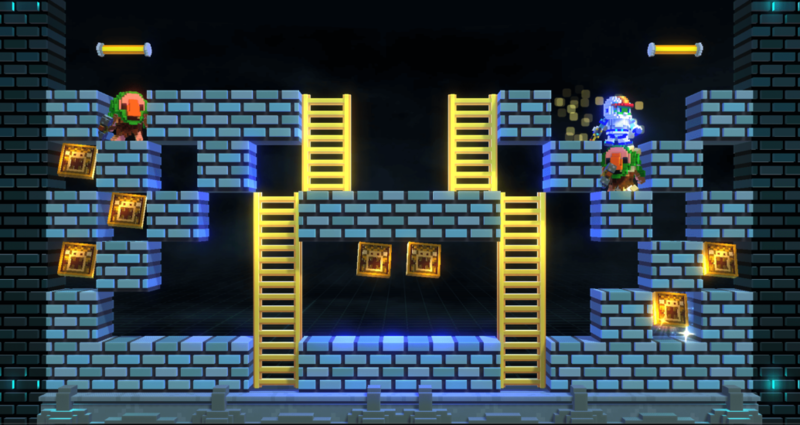 Power Lode Runner is an update on the classic Lode Runner formula. 35 years old and counting! 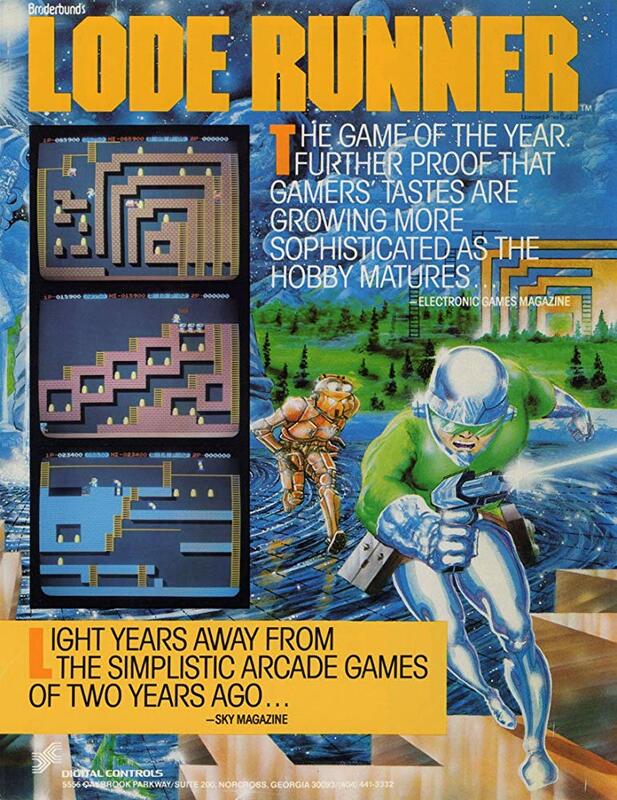 Developed in 1983 by Douglas E. Smith, Lode Runner went on to become a smash success. Released in countless versions and on way too many platforms to name, Lode Runner is a classic action puzzle game with a simple premise that grows increasingly complex. Therein lies its brilliance! ER… THAT’S PRETTY MUCH ALL I GOT THIS WEEK. Ahem, well I guess we won’t be hearing from Movie Trailer Voice Guy again. At any rate, Power Lode Runner is a curiosity and an oddity indeed. Released on New Year’s Day 1999 (happy 20th anniversary), this version of Lode Runner is a bit more modernized though it plays much the same as ones before it. “B” digs a hole in the ground to your left while “A” digs a hole to your right. Trap a bad guy and safely walk over their head. Collect the items necessary to unlock the next level. Control a blue rabbit-like animal, named Muguru-kun, and go through all manner of themes. There are 3 different worlds you can select from the very beginning, with themes changing every 5 levels. Let’s take a look at some of the worlds. The world shots look great! I love the art style here. Muguru-kun is adorable and has a unique look that screams “leading mascot potential.” Kinda makes me long for a platformer starring him! To your bottom left is the map (which can be switched off) and to your bottom right is the item count (in yellow) required before being able to leave that stage. Touch the logs encased in the bubble there, leaving you with 3 left to collect. I appreciate games with sensible mechanics which allow the player to be efficient. There’s no need to climb down a tree, not when you can slide off at a moment’s notice. Grab your second item. 2 down, 2 to go! Those are the BAD guys?! Why yes. In this theme, those rather innocent looking monkeys are the source of danger. Each theme, which alters every 5 levels, is home to its own unique enemies. Applying some good ol’ Lode Runner know how will make quick work of them. “I’m walking on sunshine whoa oh! You’ll spot a giant teddy bear head throughout each level. That marks the stage’s exit point. After collecting all the items needed, stand by the giant teddy bear face and it’ll swallow you whole, taking you to the next stage. Cute, yet slightly disturbing. Let’s look at some other levels from this first world. Spotting Teddy does squat if you haven’t collected all of the items necessary. In such cases, it’s time to backtrack to find those missing pieces. Bad guys can throw various objects at you. You’re momentarily stunned if hit, but thankfully it doesn’t mean automatic death. Try to catch me, Donkey Kong! Evading enemies left and right, weaving through them and going from point A to point B is quite satisfying. You can really get in the zone and develop a great rhythm that makes Power Lode Runner a really fun game to play. Cover up, it’s flu season! It does, doesn’t it? Makes one yearn for an actual platformer game starring the ever lovable Muguru-kun. There’s a sense of adventure and stealth that gets the ol’ heart pumping. Look out for crabs and… ghosts?! Muguru-kun is a trained pro. Power Lode Runner is just a simple and enjoyable action puzzle affair. It celebrates 20 years today, and although you can’t get it officially on cartridge, there are of course various ways to still play it. And that I recommend you do, especially if these old school action puzzle games appeal to you. And if you like this game, I also suggest checking out another 1999 Super Famicom hit in the form of Power Soukoban (another modern spin on a classic formula). 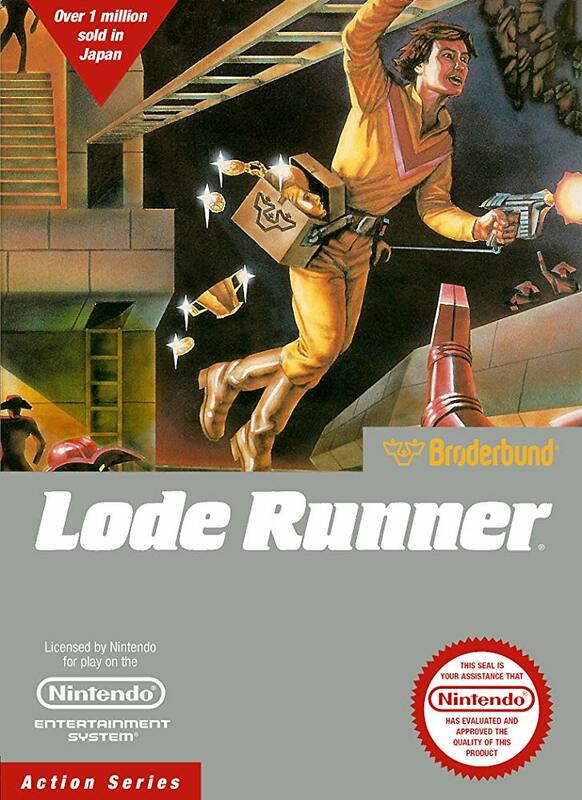 I slightly prefer Power Lode Runner over Lode Runner Twin. Power Lode Runner has Lode Runner Twin beat on visuals, sound and gameplay. The level design and enemy roster is also better as it oozes with more creativity and charm. Of course, you can’t go wrong with either. 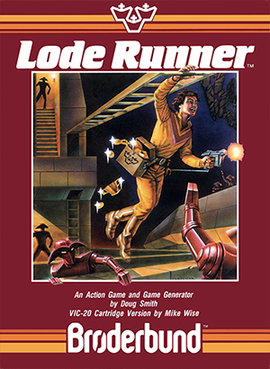 Lode Runner was first developed in 1983 by Douglas E. Smith. It was released on many platforms, such as the Apple II and Commodore 64. 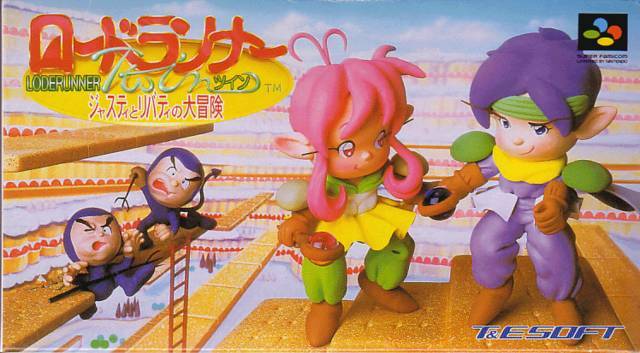 More than a decade later, the Super Famicom received its own variation in the form of Lode Runner Twin. WHERE LIVES WILL CHANGE AND A NATION WILL CRY… or something. 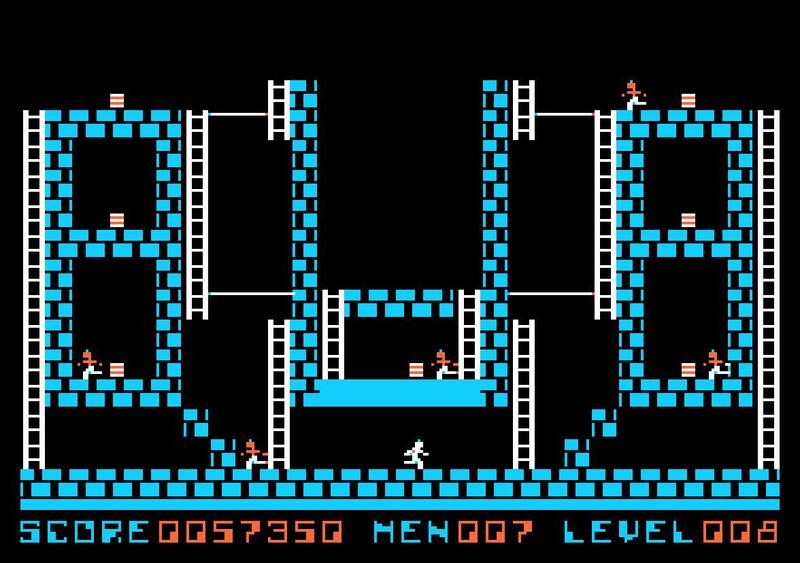 Lode Runner, to some of us retro gamers, is like an old trusty friend. You may not call this friend every week or even every month. But whenever you do, you pick up right where you left off. Thanks to T&E Soft, Super Nintendo players have a version to call their own. And while the mechanics are similar to classic formula, the look and atmosphere is distinctly different. HEY THAT’S NOT JACK PERIL! Indeed it’s not. Say bye to Jack Peril (from Lode Runner Returns) and hello to Justy and Liberty, two chaps that look like they stepped right out of an anime. Lode Runner Twin has a story mode (complete with password), free play and a couple 2 player split screen modes. Collect all the candy wrappers. Only then will a ladder magically appear to whisk you to the next level. Bad guys quickly attempt to gang up on you, but you can cave in floors where applicable and walk safely over their head(s). Gone are the cannibalistic monks from previous Lode Runner games. In their place are trident wielding little imps. The game has a very cute look. Our hero gracefully glides his way to safety, leaving the devilish lackeys in the dust. There’s something very satisfying about gliding through the ropes. What’s that oily drop there? You might have gotten rid of that one, but notice his buddies quickly gaining ground. A magic sound effect rings out after you’ve collected the last piece of candy. A ladder appears, which will take you to the next level. Of course, the bad guys will give chase to the very bitter end. YOU WON’T TAKE ME ALIVE! As soon as you land, make your way toward the ladder and slide across the rope. You’re home free! It’s easy but moments like this make the game fun to play and satisfying. I love retro games. It’s the spirit of the age you know, the zeitgeist — looking forwards by looking back. Or something like that. Heck, maybe I’m just an old codger. I remember when games were rationed, you know. 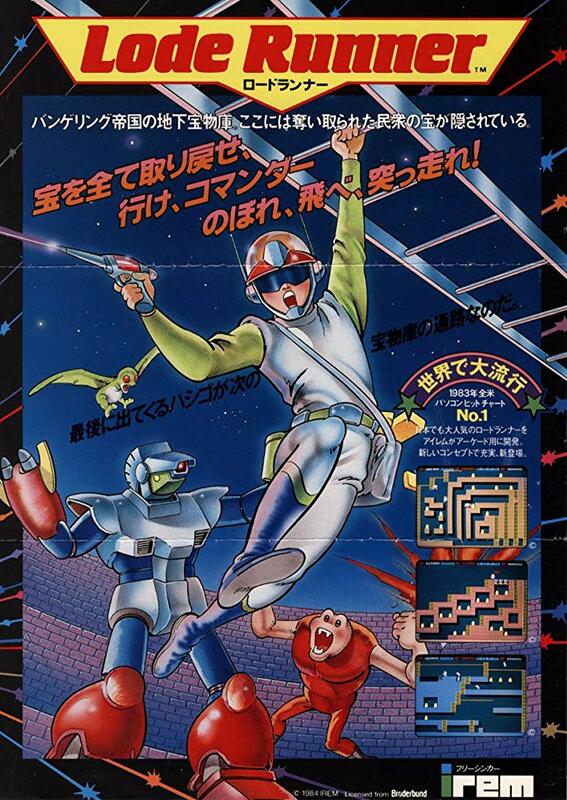 But in all seriousness, I enjoyed Lode Runner Twin for what it was. If you can overlook the annoying music, what you have here is a nice variation of a classic game. If you like this, be sure to check out Power Lode Runner too. 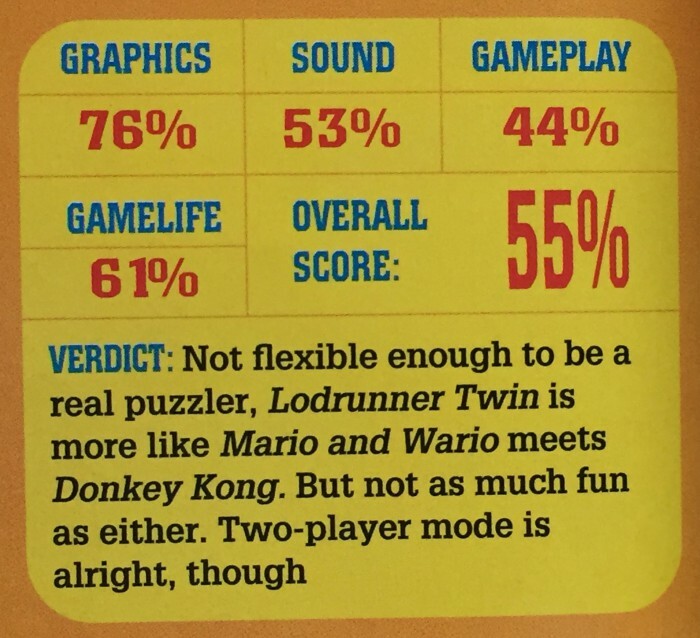 And as a final fun aside, Super Play ran a review for Lode Runner Twin back in the ’90s. They rated it 55%, which I feel is a pretty harsh rating. It’s not the best game ever, but it’s certainly fun and has its moments.